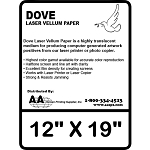 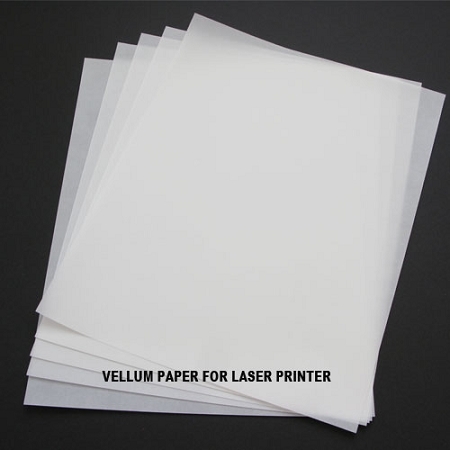 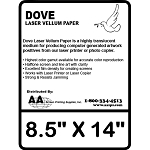 Dove Laser Vellum Paper is a highly translucent medium for producing computer generated artwork positives from our laser printer or photo copier. 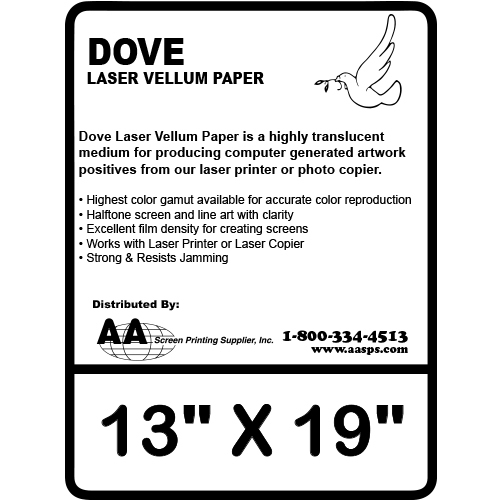 Copyright AA Screen Printing Supplier. All Rights Reserved.